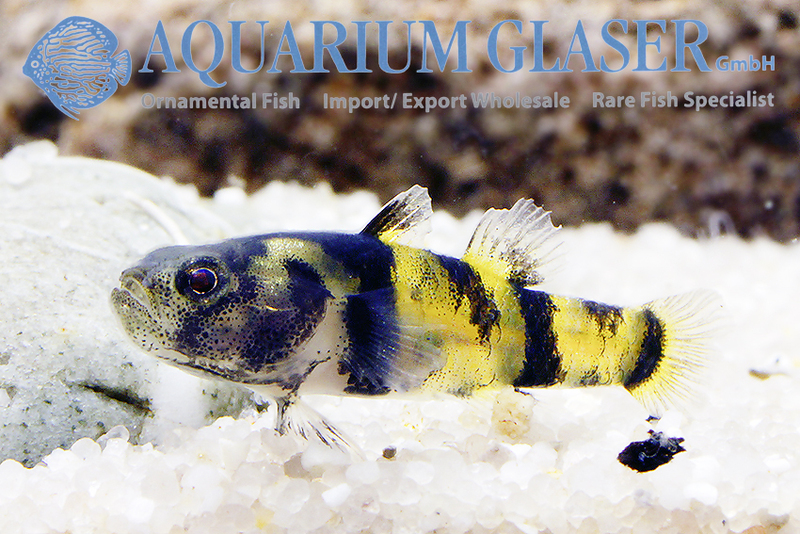 Again we could import this new species of dwarf bumble-bee goby. 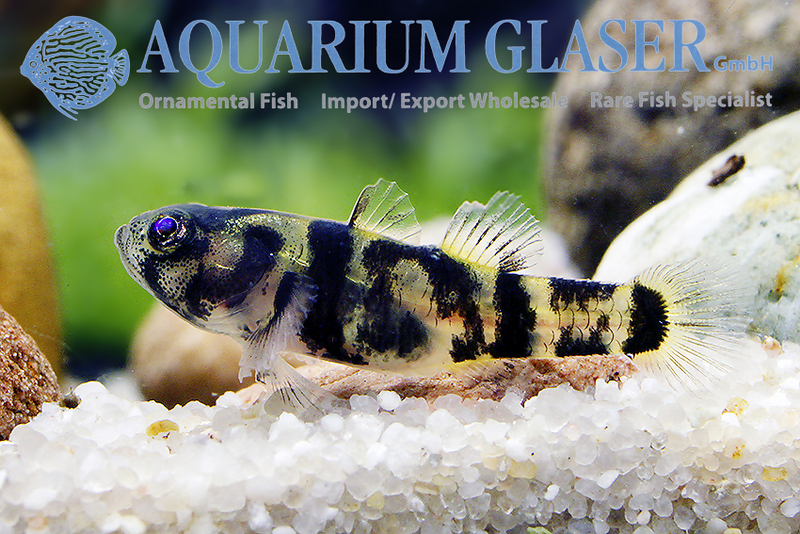 This tiny fish becomes only 2 cm long. It cannot be applied to any described species so far. The fish have been collected in Indonesia. In Brachygobius, one very important feature for determination is the question wether the predorsal region is scaled or naked. This can be easily recognized even on a good photo. Our new fish have a naked predorsal region. In combination with coloration and origin this makes it very likely that our fish represents a species unknown to science so far. 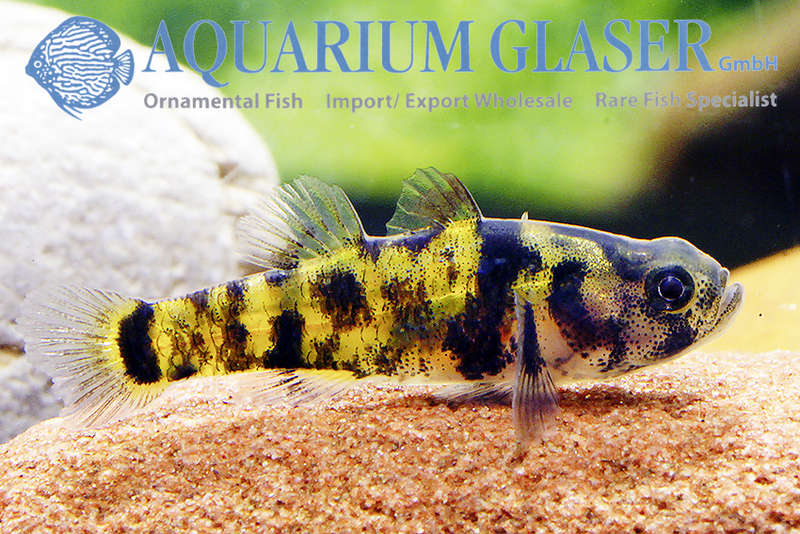 The coloration varies extremely in this species and it seems that there are not even two specimens that have the very same pattern. We have decided to name them provisionally “Ocelot”. 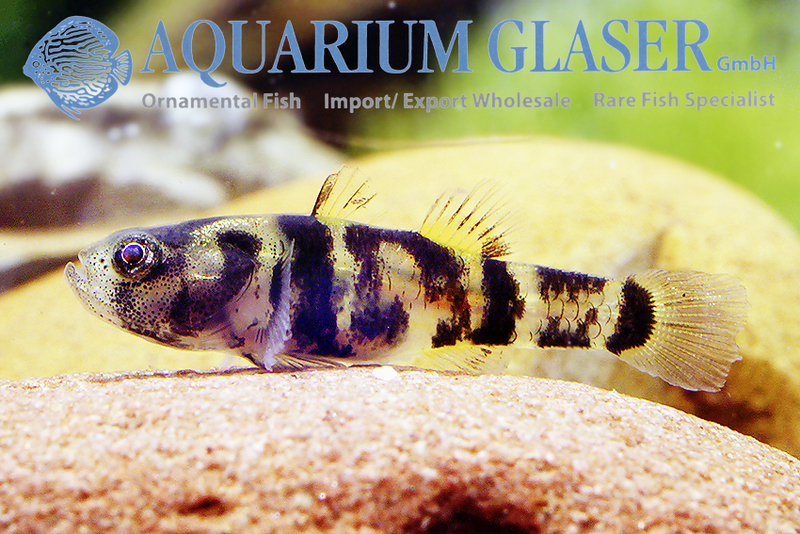 In any case this dwarf bumble-bee goby is an attractive enrichment of the species available for small aquaria. 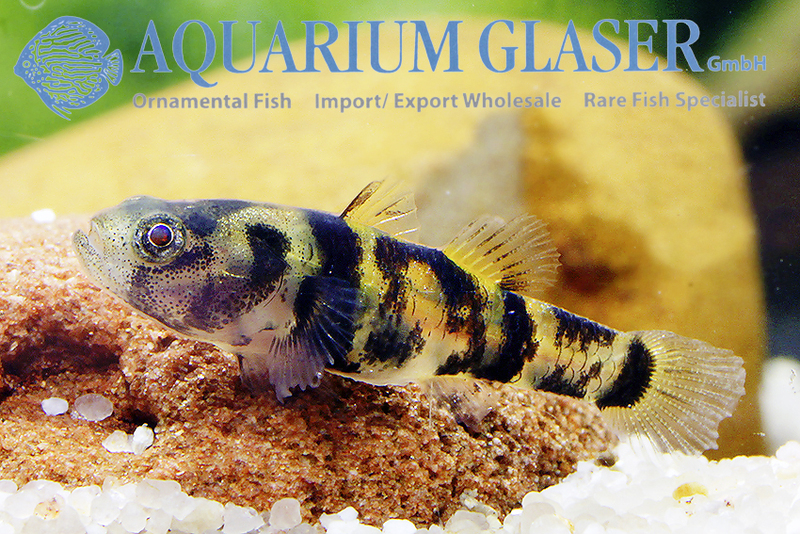 For our customers: the fish have code 407232 on our stocklist. Please note that we exclusively supply the wholesale trade.